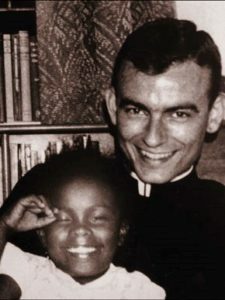 Blessed Jonathan Daniels, a young seminarian and a saint of the Episcopal Church, was martyred in Hayneville while working for the civil rights of the people of Alabama. Each August, people gather in Hayneville to march and remember him and the many others who died striving for equality and freedom during that tumultuous time in our country’s history. During the trip, we visit sites important to the Civil Rights Movement and examine the pivotal role that young people played in its success. Our purpose is to inspire our young people of today.